Massive deaths from snakebites have become a recurrent decimal in Nigeria. The casualty figures usually get more staggering during the heat when these cold-blooded reptiles are forced out of their hiding places in search of fresh air. That period, usually between January and April, is incidentally the time farmers go to the fields to clear their farms, preparatory to the farming season. It is also the time herdsmen in the north move into thicker forests in their search for greener fields in view of the harsh realities of the dry season. Records from various snakebite treatment centres across the country have also indicated that the figures go up during the harvest season, especially for crops like rice and yam. According to a medic at the Zamko Comprehensive Medical Centre, Langtang, a snakebite treatment point in Plateau, rats go to yam farms to eat yam, snakes go to the farm to wait for the rats. When farmers reach their farms for the harvest, they get bitten. During one of such peak snakebite periods last year, 250 victims died within three weeks in Plateau and Gombe states. The figure represented the number of confirmed deaths in two snake treatment centres – General Hospital, Kaltungo, Gombe State, and Zamko Comprehensive Medical Centre. More victims were confirmed to have died at herbal treatment centres within the period. States worst hit by the menace include Gombe, Bauchi, Taraba, Adamawa, Plateau, Borno, Nasarawa and Benue. Nandul Durfa, Managing Director, Echitab Study Ltd Guarantee, the outfit handling the collection and distribution of Echitab Anti-Snake Venom (ASV), from their production centres in United Kingdom and Costa Rica, says that the situation has been particularly bad this year because of a paucity of the ASV. “As at January, we had less than 200 vials left for the whole country. The report we get from the snakebite treatment centres is mind blogging, but there isn’t much we can do,’’ a hapless Mr Durfa told journalists in Jos recently. He said that his outfit was expecting the next supply of 2,000 vials from Micropharm Ltd in Wales, UK, and another consignment from ICP University in Costa Rica, on April 22. “Clearly, the nation is in trouble at this peak period of snakebite. The quantity in the store has proved too little to meet the demand. “Already, the snakebite treatment centre at the General Hospital, Kaltungo, receives an average of 16 cases a day. That centre received more than 3,086 cases last year. The situation is even worse at the Zamko medical centre,’’ he said. He regretted that not much attention was being paid to victims of snakebites, and blamed that on a claim that the victims of snakebite were mostly the poor people. 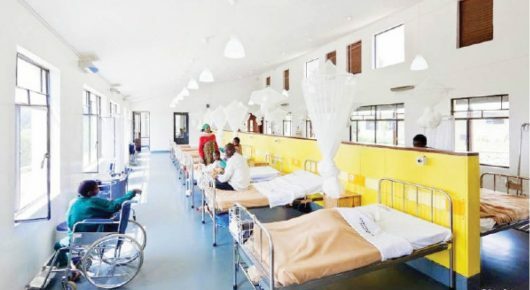 But, with more Nigerians dying as a result of snakebite, analysts have continued to wonder why the shortage of the ASV has persisted over the years. They particularly wonder why Nigeria had yet to start producing the facility locally so as to make it readily available and affordable. Mr Durfa says that the ASV is always in short supply because of the process involved in producing and ferrying it to Nigeria. According to him, ASV comes in two forms – EchiTAB Plus ICP polyvalent, produced at the Instituto Clodomiro Picado, University of Costa Rica, which treats bites from all venomous snakes in Nigeria, and EchiTAB G, produced by Micropharm Ltd, United Kingdom, solely for carpet vipers, the commonest snakes in Nigeria. Mr Durfa says that tedious processes, lasting more than three months, are involved in producing and importing the ASV. The drugs are produced there and brought to Nigeria. Mr Durfa explained that local production of ASV would be “very easy” in Nigeria because the consultants had expressed their readiness to transfer the technology to the country. Mr Durfa further explained that EchiTAB ASV, whose name is sourced from Echis ocellatus – the biological name for carpet viper – with TAB referring to Therapeutic Anti-Bodies, had three variants including EchiTAB G for carpet vipers responsible for 97 per cent cases of snake bites in Nigeria, and EchiTAB Plus for carpet viper, Puff Adder and Black Cobra venom. He traced the ASV’s production to 1991, when Prof. Ransome Kuti, then health minister, sought the assistance of two UK Professors – David Warrel of Oxford University and David Theakston of Liverpool School of Tropical Medicine. He advised the government to pay special attention to local production of the drug because snake bites affect mostly the productive group, and regretted that many had continued to die from a menace that could be effectively tackled. Abubakar Bala, the Snakebite Treatment Officer at the Kaltungo General Hospital, Gombe, equally presented a gory picture of the helpless situation and urged the federal government to take urgent measures to begin the local production of the ASV. “The persistent shortage of ASV has reached a crisis level. Very often, we have had to watch helplessly, while patients gasp for breath. We cannot continue like this. “It is a critical situation but we are helpless. We want the government to treat the issue as an emergency and a necessity. Government should equate the necessity of ASV with having an army, customs, police and other security agencies. “The drug should be treated as a security issue. Every developing country should have its anti-snake venom manufacturing company. He advised the government to look for a long term solution to the scarcity by collaborating with private producers to manufacture the drug locally, via a technology transfer arrangement with Echitab producers in Costa Rica and the United Kingdom. Titus Dajel, Medical Superintendent, Zamko Comprehensive Medical Centre, spoke in the same vein. “There are many victims of snakebites, but the ASV is always in short supply. “Government must act fast because traditional healers have taken advantage of the situation to extort monies from victims, with a promise to heal them. “What the herbalists are doing is trial and error. Most victims bleed in the brain because the venom is vicious. Traditional healers cannot tackle that because they concentrate on healing the wound,” he explained. Mr Dajel urged the federal government to treat snake bite as a national emergency and take urgent steps to make the anti-snake venom available. Tim Golu, whose Pankshin/Kanam/Kanke constituency in Plateau, is heavily hit by the snakebite menace, says he is “very uncomfortable’’ with the constant paucity of the ASV, adding that the situation had cost many lives “in the past few weeks’’. “We have lost many people in the past few weeks. Right now, we have several cases in Kanke, my village,’’ he said. Golu regretted that fake drugs were being sold to desperate victims, causing more deaths and deformities, and appealed to the federal, states and local governments to intervene by committing funds for the purchase of ASV. But Adamu Atiku, a specialist in human medicine, says that the first step to establishing a factory for the local production of ASV must start with the federal government declaring snakebites as a national emergency in view of its prevalence. “When government does that, it will give special attention to the menace and adopt measures to curb it. One of such measures will naturally include the local production of ASV. They particularly note that the victims of the reptiles are active members of the society on the fields to actualise that goal, and urge government to urgently begin the local production of ASV to reduce its cost and ensure steady supply, so as to end the vicious cycle of snakebite deaths that had become a daily routine in the country.